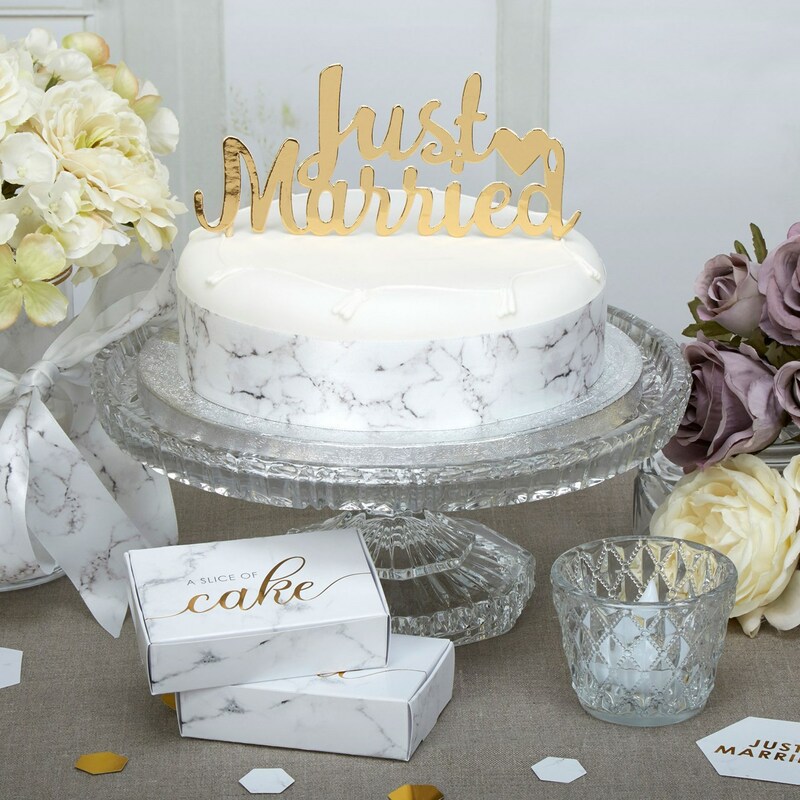 Give your wedding cake a touch of sparkle with this glamorous cake topper, in gold ‘Just Married’ lettering. The topper offers an easy yet effective way to dress your celebration cake, complementing both traditional and more contemporary cake styles. Finished with a simple heart motif, the topper adds a pretty flourish to your wedding cake.